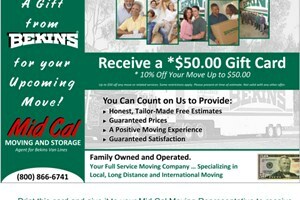 Whether moving in or moving out, Mid Cal Moving & Storage is the Discovery Bay moving company to provide you with all the necessities, amenities, and unrivaled customer service for hassle-free, dependable moving solutions. BBB-Accredited and with thousands of successful relocations under our belt, our Discovery Bay movers can handle any move of any size, whether it be residential, commercial, or specialized. Our strict standards and personalized service mean that you can be sure your cargo, belongings, and furniture arrive safely and securely at your new home or business. We understand the importance of being in-the-know when it comes to your relocation and your belongings. Our movers in Discovery Bay always put your needs first by offering you a customized plan tailored to your relocation requirements. We provide you with a personal move coordinator to oversee your entire relocation from start-to-finish, answering any questions you may have, addressing your concerns, and creating a perfect moving plan for you to suit your needs and budget. For more information about Mid Cal Moving & Storage and our Discovery Bay movers, contact us by calling one of our knowledgeable moving specialists or fill out our Quick Quote form to receive your free, no-obligation moving estimate!